Alana is a versatile pattern comprising a Hawaiian-style shirt, shorts with contrast trim, and a reversible bucket hat. 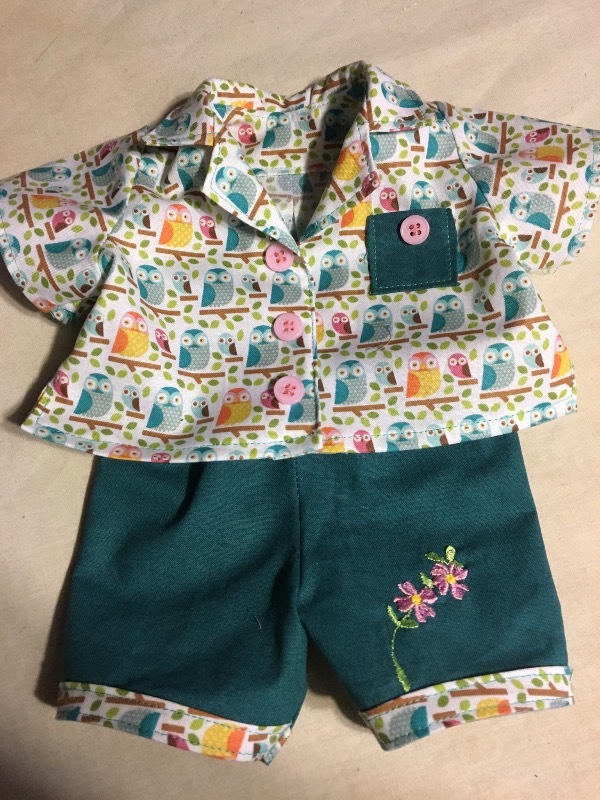 The shirt and shorts will also make super summer pajamas for those warm, balmy evenings when long PJ pants are just too much. The shirt would also be great for making school uniforms. 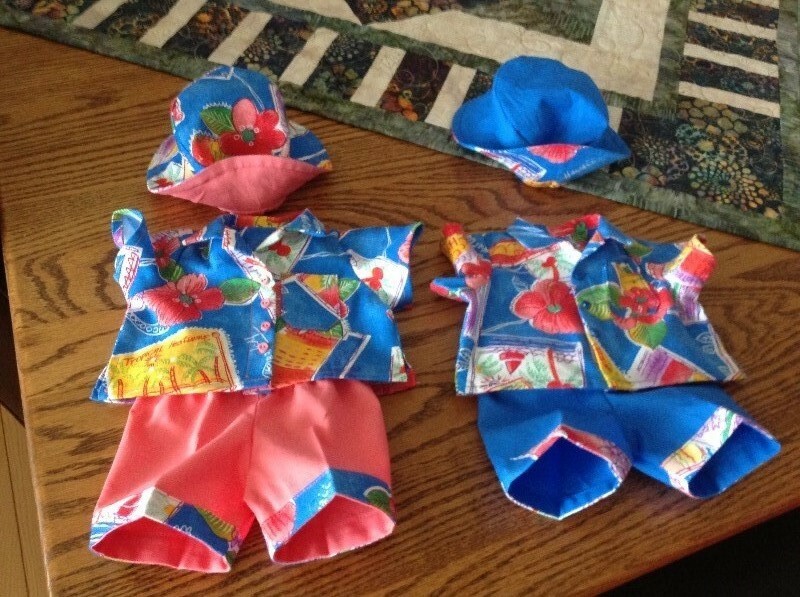 The pattern is perfect for your 15” baby dolls, with instructions included for creating the shirt fastening for both boys and girls. The Alana pattern is a great addition to your pattern collection and will fast become the go-to pattern for many of your doll’s favorite clothes. 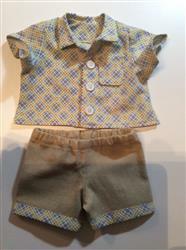 The Alana pattern is also available for 18" dolls such as American Girl®. - 11.5 inches of 3/8" elastic for the shorts waist. Love this shirt. I enjoyed the process and it was not complicated. The finished shirt is really nice. Great pattern. Fits very well. Well written, easy to follow instructions for any skill level. The shirt is pretty detailed but the construction is simple. I have made lots of human and doll clothes and I’ve never had any instructions refer to the “proper” right or left of the garment, but it does make it easier and less confusing for a novice sewer to understand. I think the extension on the center back casing area of the shorts could be left out, especially if you are using a serger to stitch the seam or finish the edges. Lots of detailed construction techniques. Love that it looks very boyish in the right fabrics since there are so few B.B. boy patterns. The shirt was like making a big one - only smaller. All the details were there including sleeves, collar, facings, buttons, and pocket. It fit perfectly. 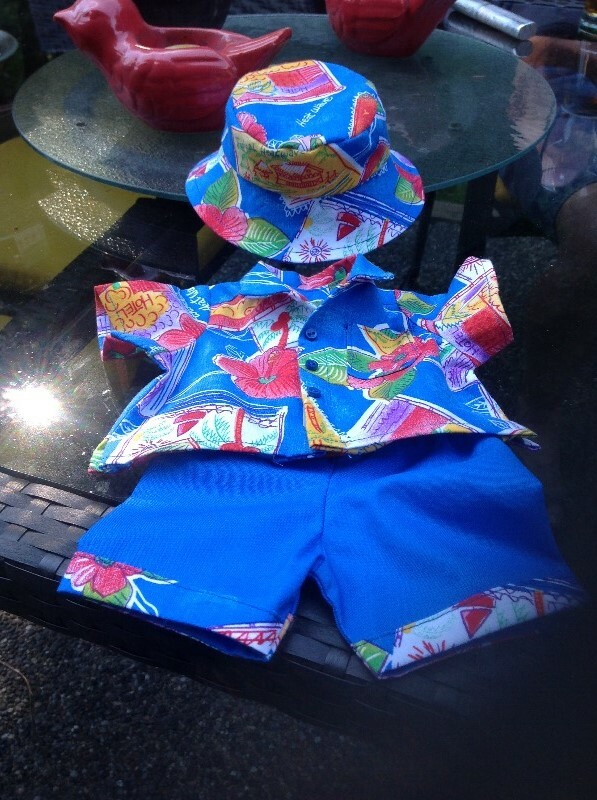 I also made the pants and the hat. 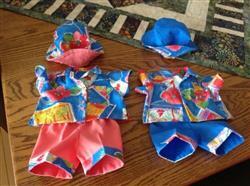 My only comment is to make sure you cut and sew precisely so all the parts fit together. I had to recut the hat lining because I wasn't careful enough with the 14" seam. It's a versatile pattern so I'll be making more from this pattern. So cute I couldn't resist. Directions are very detailed with photos and written instructions. Fits Bitty Baby perfectly. Made long pants as well. Wish I could post a photo.